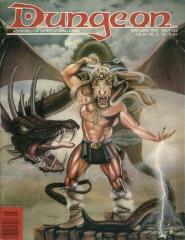 #23 "3 AD&D & 1 D&D Adventure"
A D&D adventure for character levels 2–4. An AD&D adventure for character levels 8–10. An AD&D adventure for character levels 2–5. An AD&D adventure for character levels 7–9.